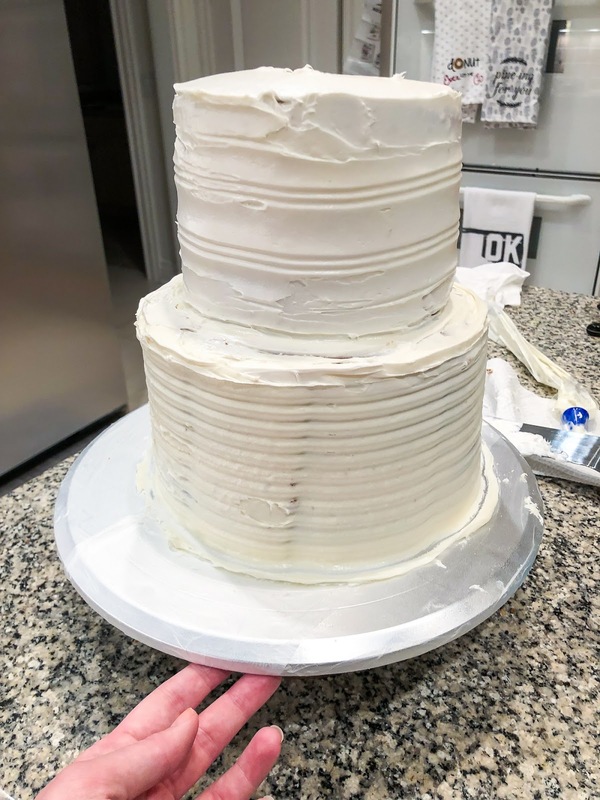 Sharing our wedding cake inspiration as well as our first semi-trial run in the making! It's going to be really fun and extra special. So here are first some inspiration photos but instead of greenery/leafs there will be blue hydrangeas! 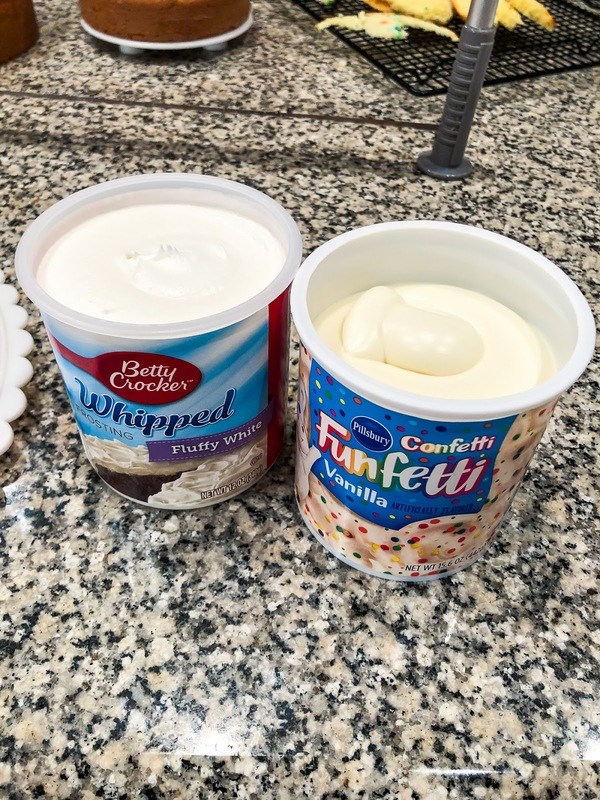 Andrew and I aren't big cake people but we sure do love some funfetti! 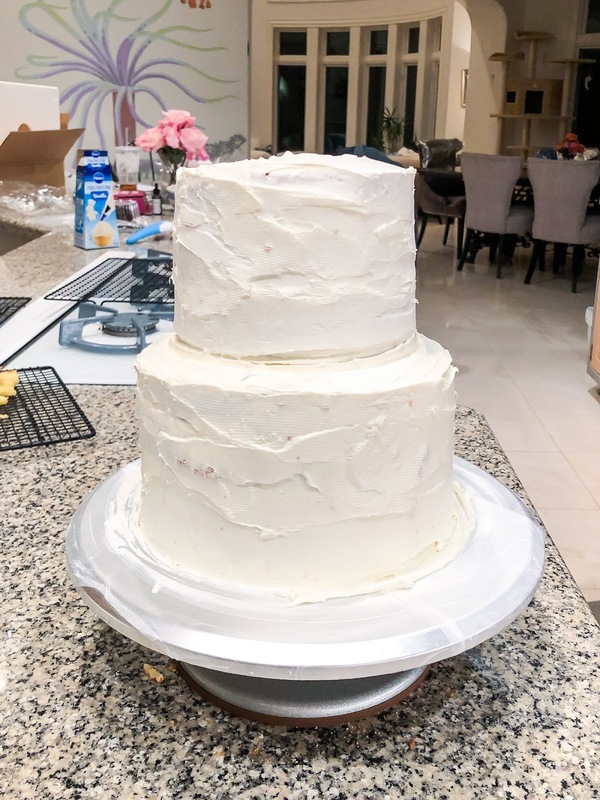 So when it came time to thing about our wedding cake we kind of laughed and hoped it would be that. Well.. guess what? Thats what we're going to do. It's going to be like a mullet -- business on the outside and party on the inside! 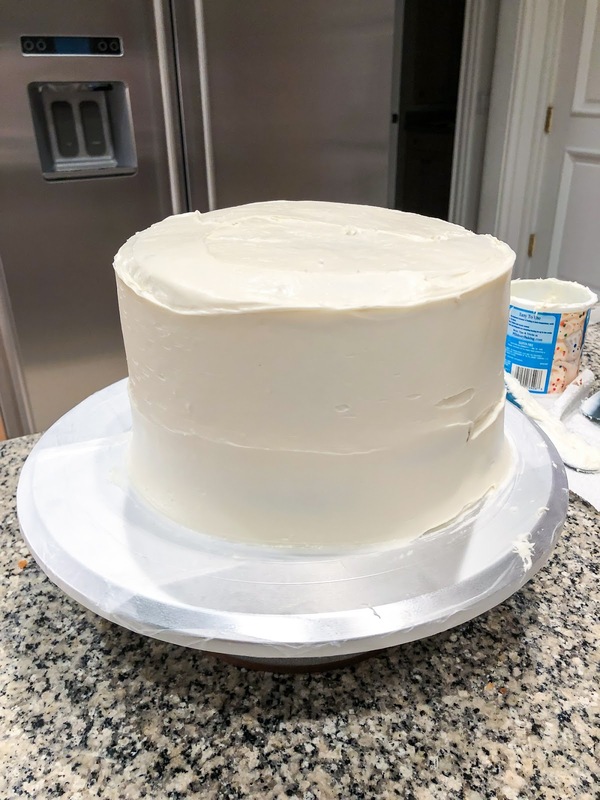 The inspiration/idea behind the cake is I want something two layered and simple white. Maybe a blue (or maybe white) hydrangea on it and thats it. Just simple and no fuss. Well the really exciting part about all of this is that my mom will be making our cake! It's something that is really special to me and has been in the plans since before I got married. 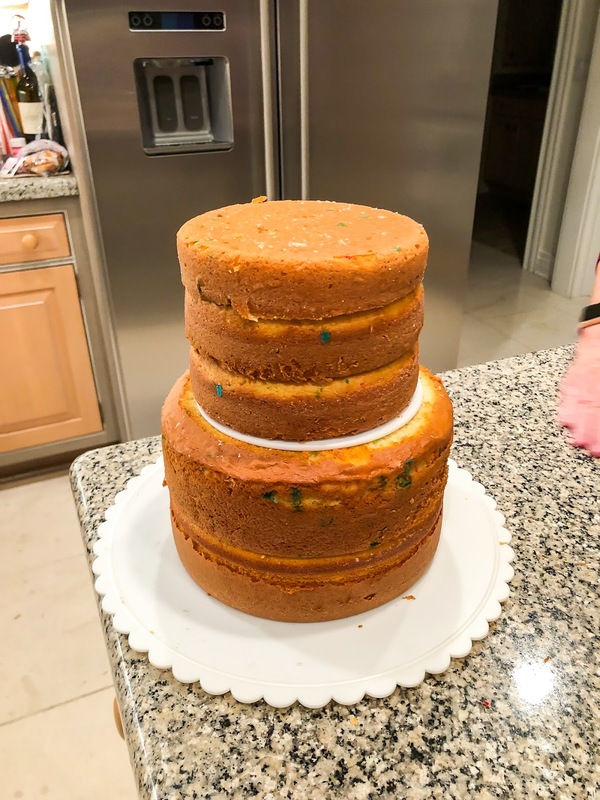 When I was younger my mom used to actually be in the business of making cakes for weddings and parties. 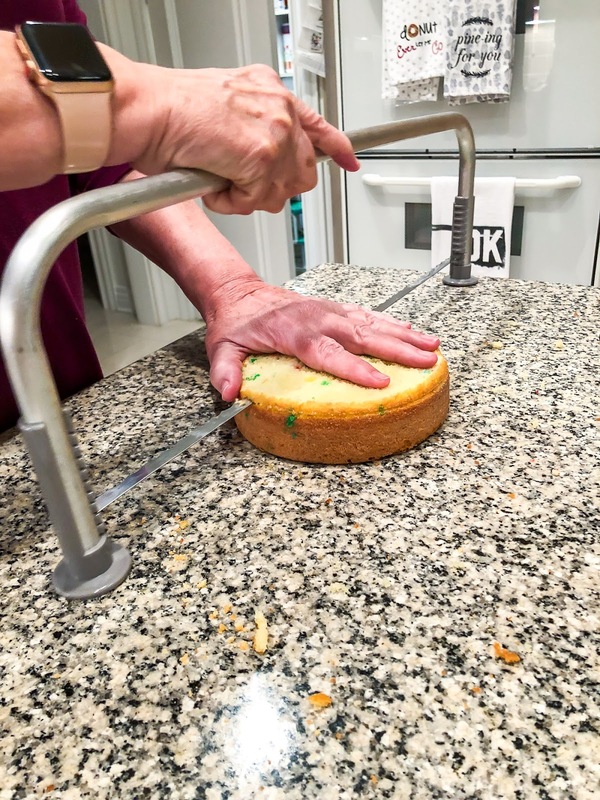 I remember the kitchens in our Texas house full of tips and frosting and different sized cakes -- it was a lot of fun! Also possibly why my sister and I don't like cake -- there was just too much of it sometimes. So when Andrew and I got engaged we asked my mom to make our cake for our wedding dinner. 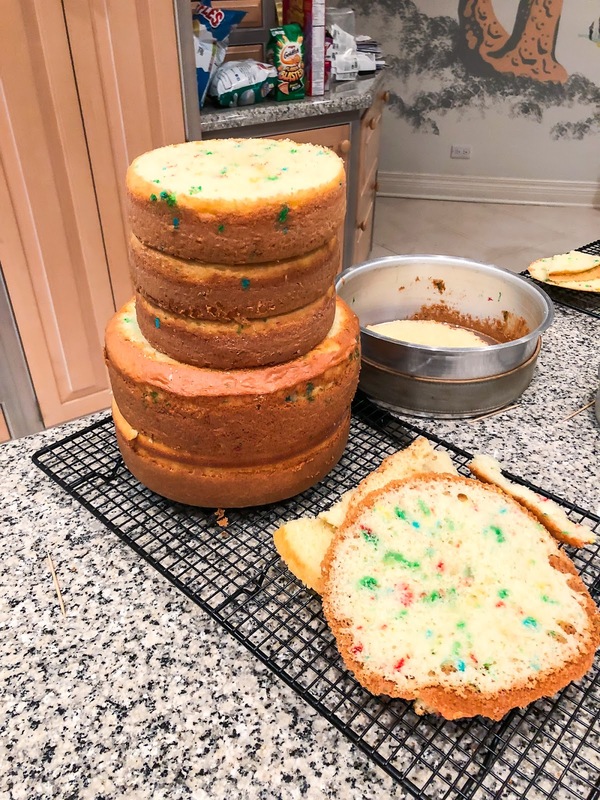 It's going to be a small group of us so we didn't need anything extravagant and I was committed to the idea of it being made with lots of love (it makes everything taste better!!). 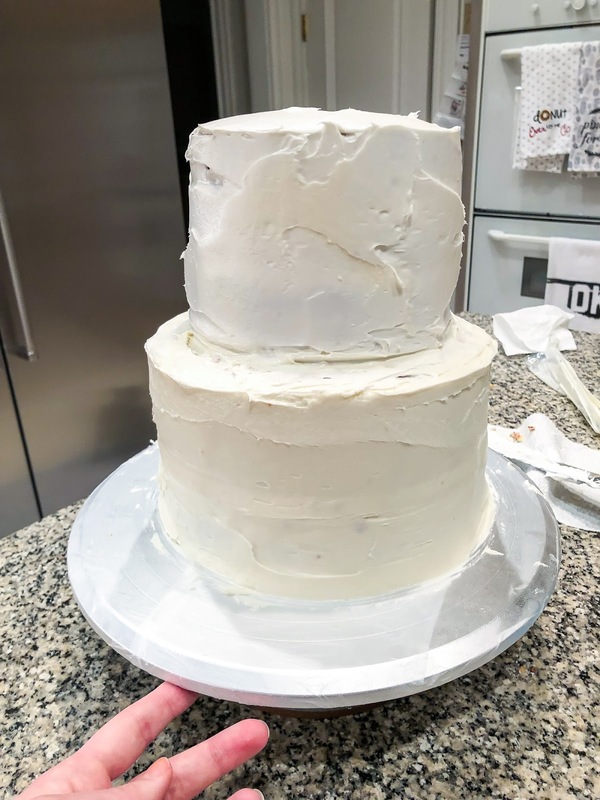 When I was home a couple weeks ago my mom was asking all these questions about what color frosting (to which I said white and she said what shade of white lol), specifically how tall (in inches) and a whole laundry list of things I didn't really know the answer to. So on one of our free days we decided to do a very rough test run. 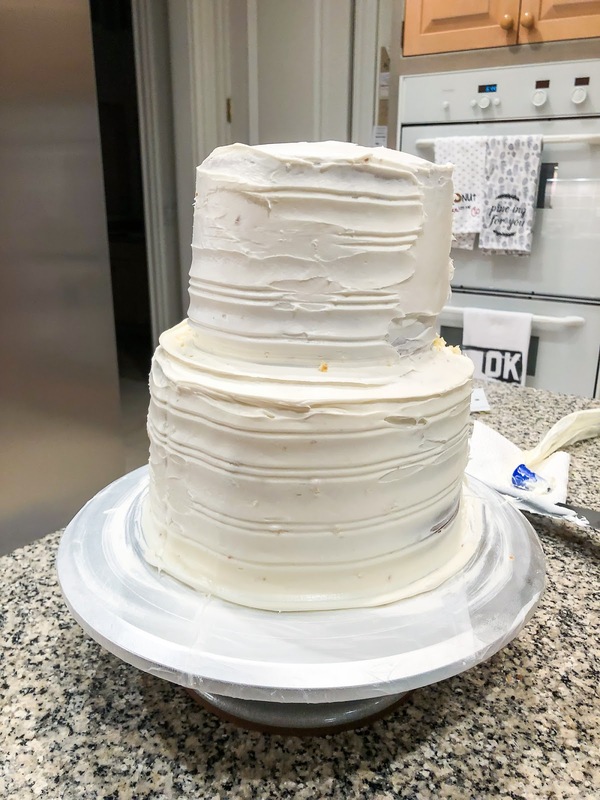 My mom asked me to preface this post by saying the only thing we're going for is the color of frosting and the official height of the cakes and that this is not what it will look like or an accurate representation of her skills or wedding cakes. The color options - we both agreed on the stark white. And then trying out some patterns on the cake! All in all, was still so much fun (right Mom??) 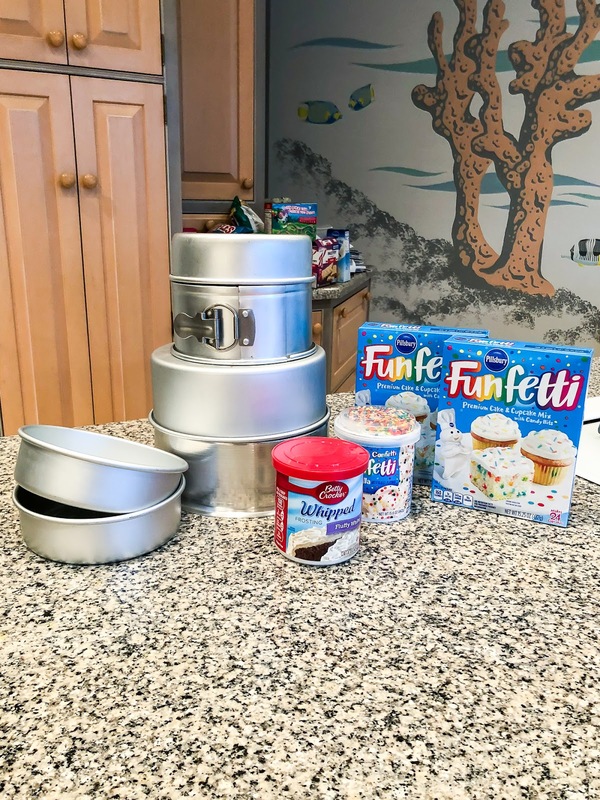 and I'm even more excited for this to happen than before -- even if she may be stressing about all the products she's going to need to pack for Nantucket! 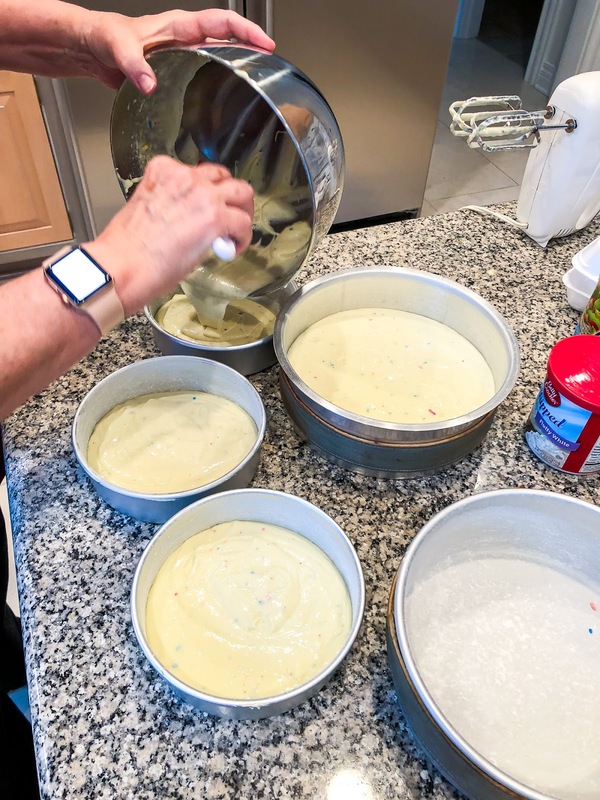 How special that your mom is making it!! And too fun to do party on the inside!